Trivia + Bingo = Trivio Night! 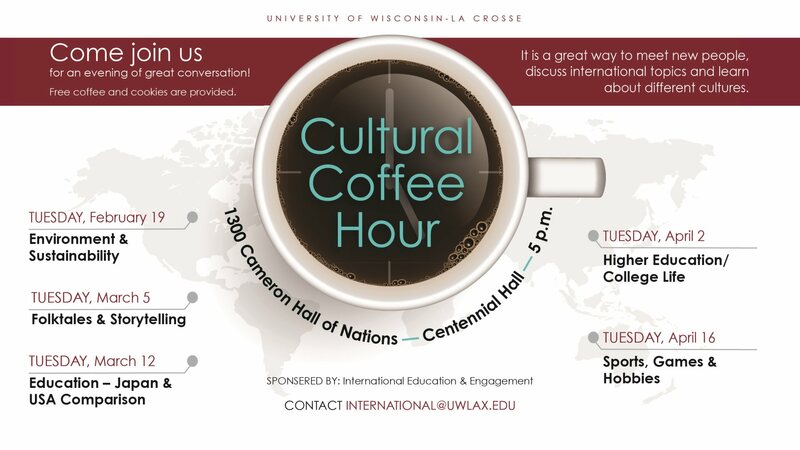 Cultural Coffee Hour is an event that helps create awareness of international topics and issues while generating respect and appreciation of different cultures while meeting new people. Join us for an evening of great conversation over free coffee and cookies!